Homemade Coconut Cake a made from scratch Vanilla Cake with a Creamy Cream Cheese frosting, then decorated with flaked coconut. The perfect Special Occasion Cake. Have I been hiding this Coconut Cake? Did I forget about this cake? No , I was just waiting for a special occasion. And the special occasion is Christmas. 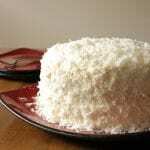 This Coconut Cake is perfect for Christmas and do you know why? 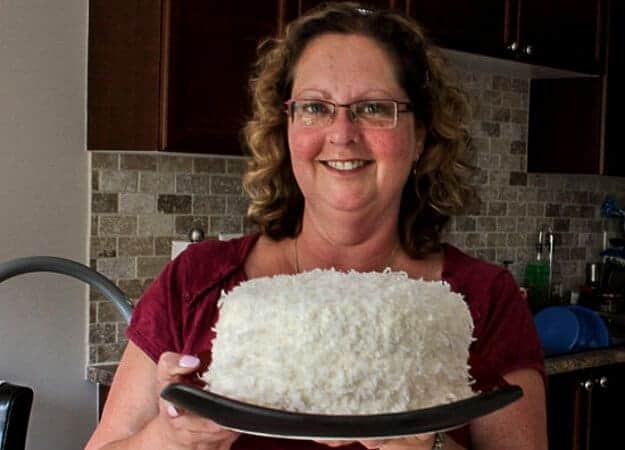 Because all that coconut on the cake reminds me of snow, and since I won’t be seeing any snow in my part of the world for Christmas I might as well see it on a cake.During my trip to Toronto I had the greatest pleasure of eating this cake twice. My amazing baker cousin first made this for a family/graduation get together at my sister’s. My daughter was graduating from college and my cousin offered to bake the cake. 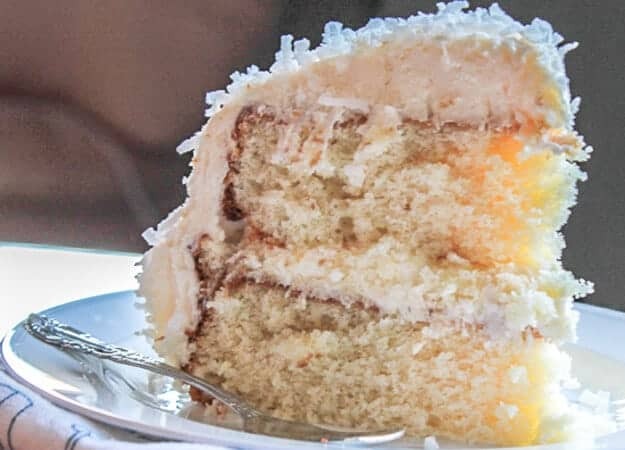 My daughter put in her request for a Coconut Cake, since coconut is one of her favourite fruits (technically it is called a drupe) and oh my goodness I ate one of the softest most delectable cakes I have ever tasted. She later told me that the cake recipe was adapted from Martha Stewart, good job Martha. So naturally what did I do? 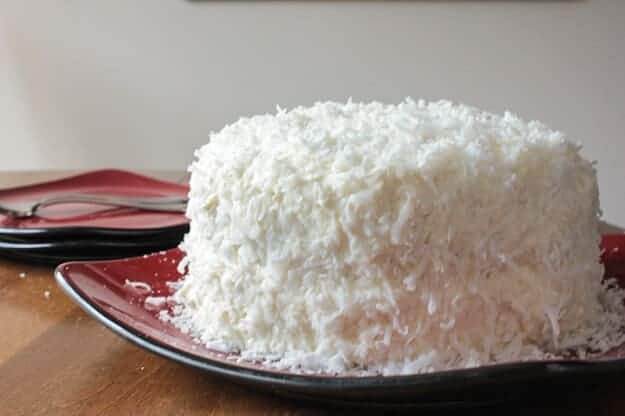 I asked my amazing baker cousin if she would love to re make this mouth-watering Coconut Cake again for my blog and of course I would have to taste it to see if it really did taste as good as I remembered. Oh yes it did taste just as good, in fact I think it just keeps getting tastier! This is the kind of cake where you hope that it isn’t finished because you know you really want a piece for breakfast. When everyone is so full from that glorious stuffed Turkey or in my case, delicious cannelloni and roast lamb, you make your entrance with this Coconut Cake masterpiece and all of a sudden everyone will have room! Enjoy! 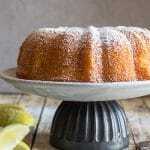 Coconut Cake, a delicious soft, moist cake with a creamy cream cheese frosting. Topped with coconut flakes, a perfect Christmas dessert. Pre-heat oven to 350°(180° celsius), lightly grease with butter and flour two 8 or 9 inch cake pans. In a medium bowl at medium speed beat together butter and sugar for 2 minutes until combined then add eggs and beat, combine well. In a medium bowl whisk together flour, baking powder and salt. then gradually add flour mixture, beating on low until combined. Add milk and vanilla and continue beating until combined. Divide batter into prepared pans. Bake until golden (use toothpick to test for doneness), approximately 30-35 minutes. Remove and let cool completely on wire racks. In a medium bowl beat together butter and cream cheese on medium-high speed until creamy approximately 1 minute. Lower speed to medium and add powdered sugar, 1 cup at a time, beat well after each addition. Add salt, half and half and vanilla and beat until fluffy, about 3 minutes. 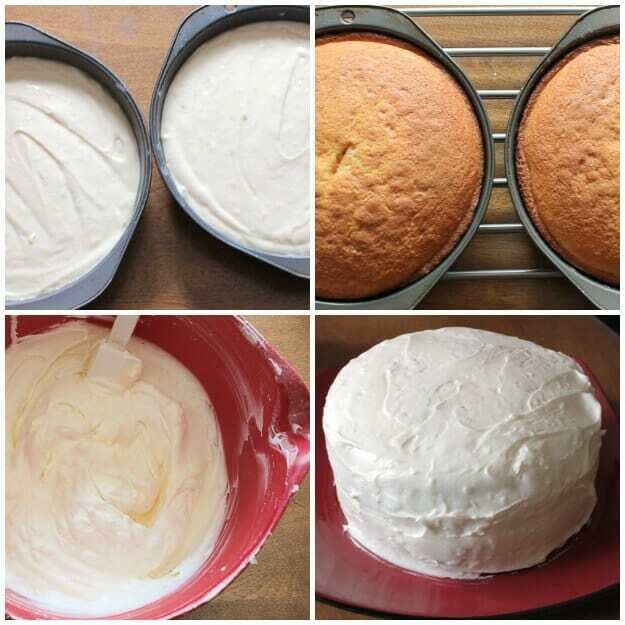 To frost the cake, place the first layer on a large plate top side down, spread with approximately 1 cup of frosting, place the second cake top side down and frost with remaining frosting. Cover cake with coconut flakes. (we did it with small handfuls and packed it lightly against the cake). Enjoy! Republished from December 7, 2014. Hi Karen I have only ever made a 2 layer cake, you could make 3 smaller cakes maybe 7 or at the largest 8 inch cake pans instead. Hope that helps. Hi Carrie, I’m sure that would work too. I hope you enjoy it, let me know. Hi I made your cake today, and the frosting was runny. I followed the recipe word for word, ingredient to ingredient! Why did I do wrong? 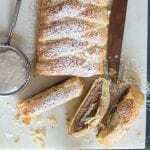 Hi Pasberry, If it’s runny just add more icing sugar. I really don’t know what happened it has never been runny for me. Hope that helps. Is there coconut flakes in the cake batter? If not, could you add it?. Thanks! Hi Char, no there aren’t any coconut flakes in the batter, but you can add some if you wish. I wouldn’t add more than 3/4 cup though. 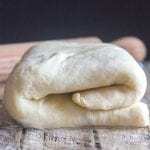 Fold it in after the batter is made. I want to cut recipe I half but only have large eggs – what should I do? Hi Patricia, well the cake calls for 3 large so you could lightly beat 1 egg in a bowl and add half of it plus 1 egg to the recipe, or just add 1 egg and I think it would be fine. Hope that helps. Mother would make a coconut cake from scratch back when I was little. We would buy a coconut at the grocery store and bring it home. We would use a hammer and screw driver and punch out each oh the holes. We would then turn it over a glas to let the liquid drain. Once that was done we would put the coconut in the hot oven a bake it. Sorry I do not remember the settings. Once the coconut was done we would take it out and let it cool. Once cool we would take a hammer a wack it until the shell came off. We would grate the coconut for later. Mother then made her 2 to 3 layer cake. Before icing she would poke holes in each cake layer and drizzle the coconut liquid. Then she would put the layers together with the icing sprinkling coconut on each layer of icing and the outside icing. You talk about a moist great cake!! I made this cake for my brother’s birthday since coconut cake is his favorite. Everyone loved it, even those who don’t usually like coconut, myself included! I used my mom’s French buttercream icing (a family favorite) instead of the cream cheese icing. The cake was light and not dry (always my big concern). I’m so glad I used your recipe instead of a box mix. So good that I want to make it again soon. Thanks to you, your baker friend and Martha Stewart! Hi Mary Jo, thanks so much so glad everyone enjoyed it. Have a great week. Can you substitute coconut milk for the regular milk? Hi Kathy, I have never substituted coconut milk for regular milk but I did a search on it and apparently you can do it just fine. Let me know how it turns out. Happy Easter. Maybe I’m blind, but I cannot see the word coconut milk in the list of ingredients anywhere! Please tell me where you add coconut milk and how much! Thanks! Please change it in the list of ingredients as well. Hi Ramona but there is no coconut milk in this cake, just regular milk. There are coconut flakes. Hope that helps. My husband loves anything made with coconut. Made this cake for him. He really liked it but remarked it was border line to sweet. He has the whole cake to eat. Is there anything I can do to it to make it less sweet now and for the next time I make it? Hi Sandra, what does he find too sweet the frosting or the cake? Once it is baked there really isn’t too much you can do to it. Maybe next time add less sugar (from 1 1/2 cups to 1 cup) in the cake. Hope that helps. Let me know. Hi Diana the flour is all purpose. Happy New Year. I usually have a big Christmas Eve Pary, can I make this cake the day before? Will it still be fresh? Hi Anna, yes no problem you can make it the day before. Happy New Year. what mean (1/4 cup half and half ) ???? 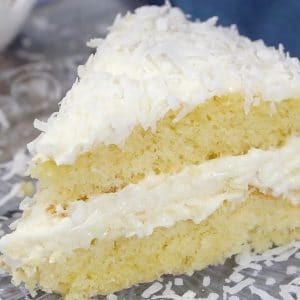 I have seen icing recipes for coconut cake with cream cheese and some without. Which way do you think is better? Hi Jill, personally I like it with cream cheese, and I found that this cream cheese icing doesn’t have a strong cream cheese taste like a lot of others. Hope that helps. I can always count on the best recipes from you! This is a perfect example. I have sadly been without an oven for two months now. (We gad a power surge and our oven was destroyed, and then had to order in a new wall oven -what a long time to wait!) Anyhow, I have been patiently waiting for a BIG baking spree and this week I will be putting this beauty of a cake at the top of my to-do list! Hi Carol, I thought that only happened to us, we lost our furnace and a tv a couple of years ago. And I can say nothing like a new oven. Have fun and thanks so much. Let me know how it turned out. Rosemary, this cake is a thing of beauty! 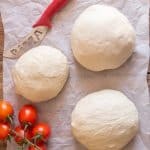 I stumbled upon this recipe about a year ago and have made it it 6 times since! 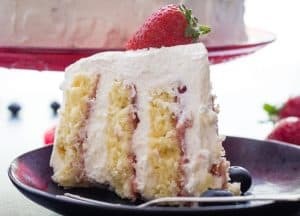 My daughter and father are huge coconut fans and this cake is the only one they will eat 🙂 I have a quick question for you: I plan on making this for my annual Christmas Dinner Party and I need to serve 18-20 people. 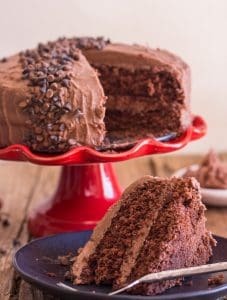 Could this cake work in a 9 x 13 pan? It would be so much easier to slice for that amount of people instead of trying to cut slivers on a round cake! Thank you in advance for any input..It’s greatly appreciated! Merry Christmas to you and yours! I dont have half and half. Do you absolutely need it? Hi Annie, try it with milk but maybe add it slowly so that you arrive at the correct consistency. Hope that helps. Let me know. Hi Sylvia, I think you could, for the 3 large eggs I would use maybe 2 small or a small and a medium egg everything else cuts in half perfectly. And just make 1 layer. Hope that helps. Hi April, yeah I find that the problem with cake too, I want to eat it all. Ha, it looks like a huge snowball, excellent 😀 I am not much of a cake muncher but I do love coconut sounds delicious! Hi Brian, thanks yes it would pretty darn good. A beautiful winter cake! I love the coconut shreds. My grandma used to make a similar looking cake. We all dove right in at dessert. So scrumptious! Hi Diane, we dove in too! Hi! Sweetened or unsweetened coconut? Going to make this for my boys’ bday party this weekend. Hi Ginna, unsweetened coconut, hope you enjoy it, let me know, and Happy Birthday to your boys. Hi Marissa Thank you for the compliment, and I know how you feel, when I visit home I usually bring a bunch of stuff back with me! I don’t really have a specific brand, I just make sure it says “cocco grattugiato”, and make sure it isn’t “farina di cocco”. Let me know, good luck! Coconut cake is one of my favorites too! And from a chocolate-lover like me, that’s saying something. I will definitely have to make this one. Thanks for stopping by our Happy Holidays Link Party – be sure to join us again this week, beginning on Saturday at 7 pm ET. Oh wow, this cake looks so pretty! And sounds delicious! Hi Becca Lynn, yes it was pretty and delicious. Thanks for stopping by. Can I use Buttermilk in place of whole milk? Hi Margaret, I really don’t know, I read that you will have to use 2 teaspoons of baking powder instead of a tablespoon. If you want give it a try and then let me know how it turns out. 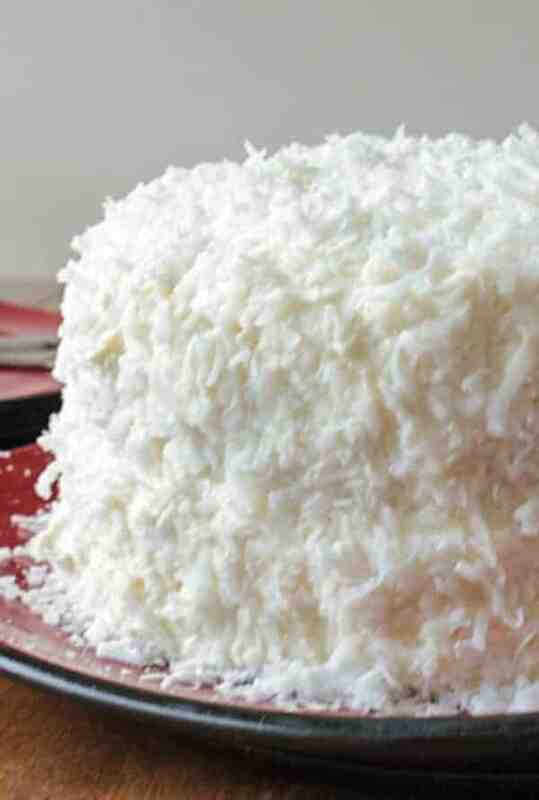 I love love LOVE coconut cake, but I’ve never made it myself, going to have to give this one a go soon! Hi Michelle, this cake was really quite easy and really pretty to look at. Let me know how you liked it. So yummy looking that I just posted with SITS love on my facebook page. Hi Debbie, thanks so much. Hi Joy, thanks for visiting and pinning. Have a great day. It looks really yummy, must try it!!! Hi Olympia, thanks it really was, I hope you try it and let me know. You call for salt in the frosting but you don’t mention it in the recipe. How much salt is needed for the frosting? I’ve been thinking coconut. My parents and brother didn’t like coconut and I love it. 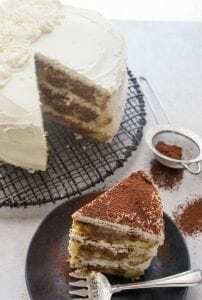 I make Italian Cream Cake for my daughter’s birthday every year. She loves it and it isn’t quite as light as this — it has nuts in it. I’ll have to try this recipe – thank you. Hi Marisa, I’m not much for coconut but this cake was really good. Let me know how you like it.